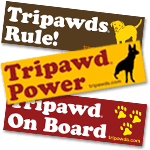 Looking for a simple, affordable way to help support the Tripawds community that might even free up some space in your closet? 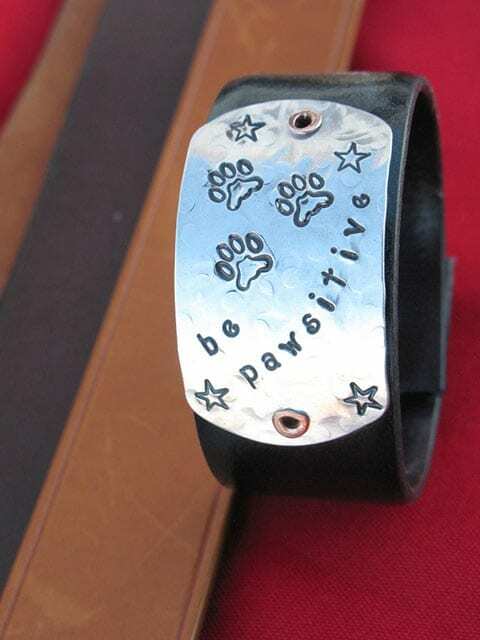 One of the various ways we cover the growing costs of keeping this community online is through sales of custom jewelry, tags, charms and other and gifts in the Tripawds Etsy Store. 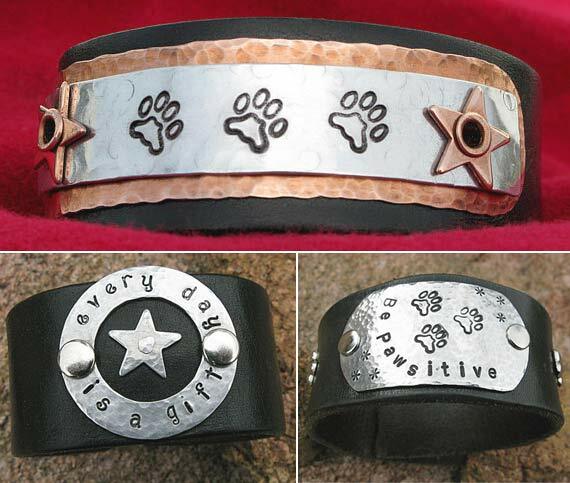 Have you seen some of the recycled leather wrist cuff bracelets and dog collars Rene has been making lately? You can help this community simply by donating your unwanted leather belts. 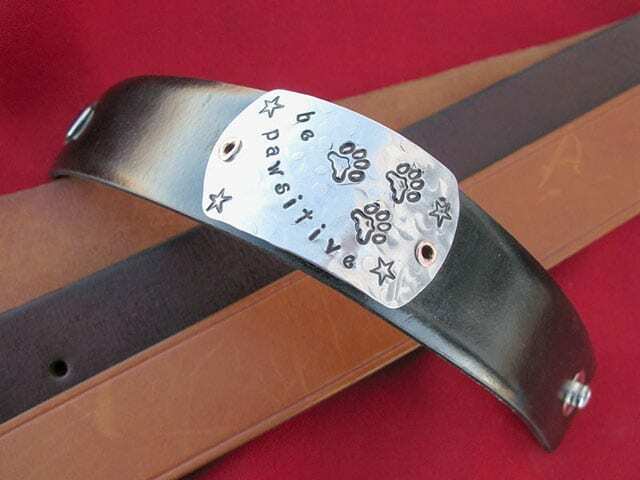 Rene can then turn them into personalized dog collars, matching wrist cuffs, and more! 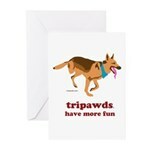 All proceeds help keep Tripawds online. Only plain leather belts, any color. No braided or stitched leather. No vinyl or webbing belts. Standard Heel Roller Buckles* only, please. *The “Heel Roller” style is the most common buckle, which consists of a simple ring with a pin to fit into the hole on the belt. 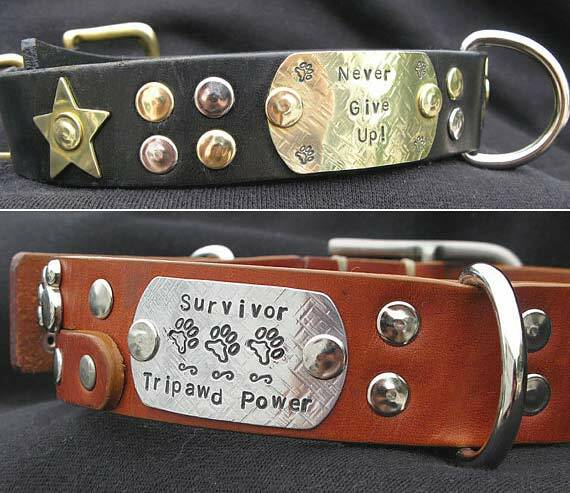 See more examples of upcycled leather dog collars and wrist cuff bracelets in the Tripawds Etsy Shop! 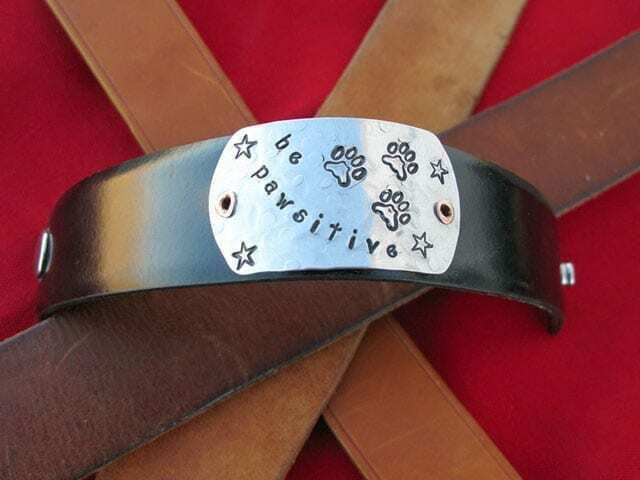 Got a favorite belt you’d love to see turned into a bracelet or collar? Write your name on the back and send it with a note describing your request. Need ideas? We’ll then send you a link to a custom listing for purchasing your personalized creation, at a discount! 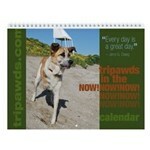 Support The Tripawds Foundation 501c3 Public Charity! Would horse leather/tack work? The pieces are usually a half inch to an inch and I think I have some curb straps with buckles. Let me know and I’ll send what I have. Penny that sounds cool! Can you emal me a quick photo just to be sure? Not being a horse rider I “think” I know what you’re talking about but I’m not sure. Thanks! This is very cool, I have a ton of belts. Where do I send them?